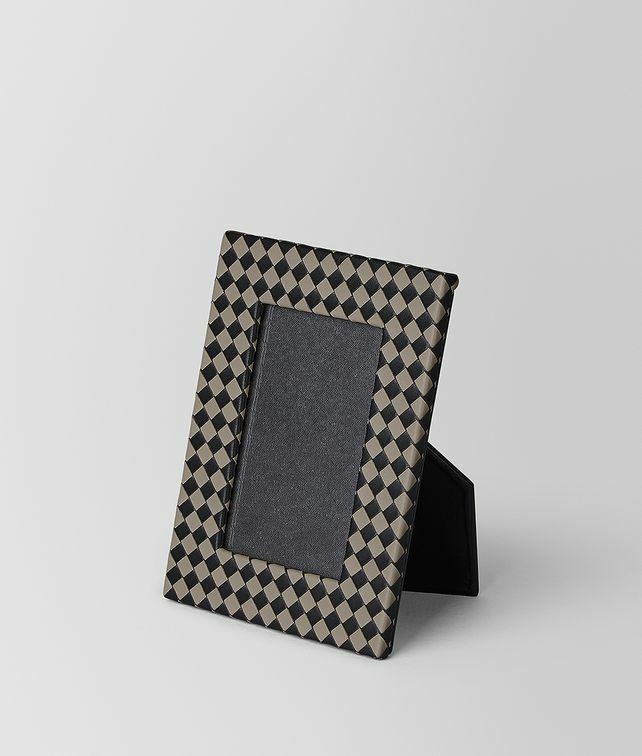 This small picture frame is handwoven from nappa in the Intrecciato Chequer workmanship. It coordinates with other items from the Home Collection, which celebrates the Italian art of living that is essential to Bottega Veneta. Fits a 4” by 6” photograph. Length: 21 cm | 8.26"
Width: 16 cm | 6.29"
Depth: 1.5 cm | 0.78"